Deal of the Day: Citroen Grand C4 Picasso | What Car? In our recent MPV group test, the Citroen Grand C4 Picasso beat the Ford S-Max, but missed out on the top-spot to the class-leading Volkswagen Touran. In spite of this, the Grand C4 Picasso impressed us as the cheapest to buy and run of the trio on test. Our deal only improves on this, as it adds a handsome £5555 saving on list price. With emissions of just 106g/km and real-world fuel economy of 50.5mpg, the Grand C4 Picasso was the cheapest car to run in our group test, and it is one of the most economical seven-seaters on the market. The interior of the Grand C4 Picasso is a nice place to be; it’s well-equipped, stylish and lets in plenty of light. The Grand C4 Picasso is also practical, with both rear rows of seats folding flat to give a cavernous load area, and easy access to the rearmost seats when you need them. Any transmission you go for will be imperfect – the manual is notchy and the semi-automatic is jerky. 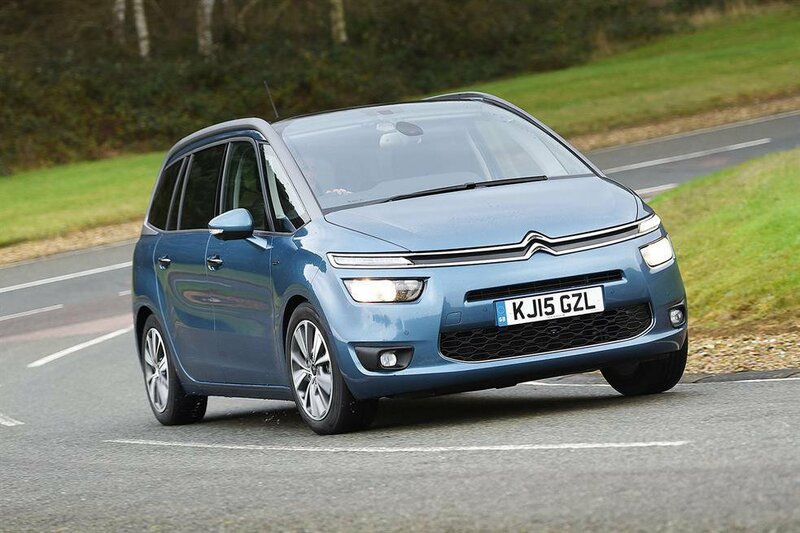 The automatic, though only available on the 2.0-litre Grand C4 Picasso, could be sharper, too. The Citroen feels its size compared with the more car-like Ford S-Max, with quite a bit of body lean and uncommunicative steering. The Grand C4 Picasso comes well equipped as standard, and the impressive visibility and light steering mean you won’t need any more than the standard parking sensors to squeeze it into tight spaces, so we'd leave it as it comes. The deal can be found at autoebid.com, simply select Citroen and New Citroen Grand C4 Picasso Deals, and scroll down to the Grand C4 Picasso 1.6 BlueHDi 120 Exclusive.